Legend has it that two farmers feuded over peat cutting rights on the local fell. Animosity resulted when one accused the other of cutting more than his allotted forty cartloads. So bitter was their ensuing animosity that when one died he insisted on being buried upright in one of his fields. He requested that he should be interred facing along the track down, which his adversary must pass. This, he hoped, would torment his neighbour and cause him to repent his reputed dastardly ways. 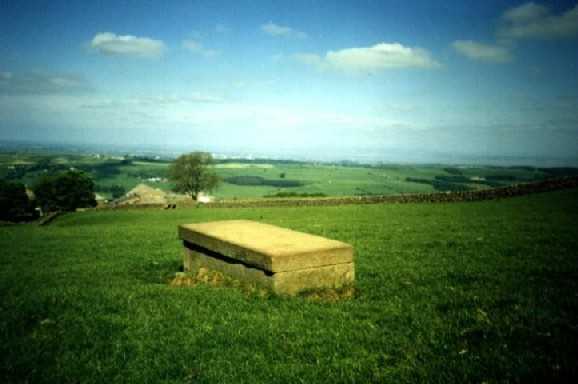 Although the actual grave lies on private property it is clearly visible from a public footpath through Rooten Brook farm east of Quernmore.